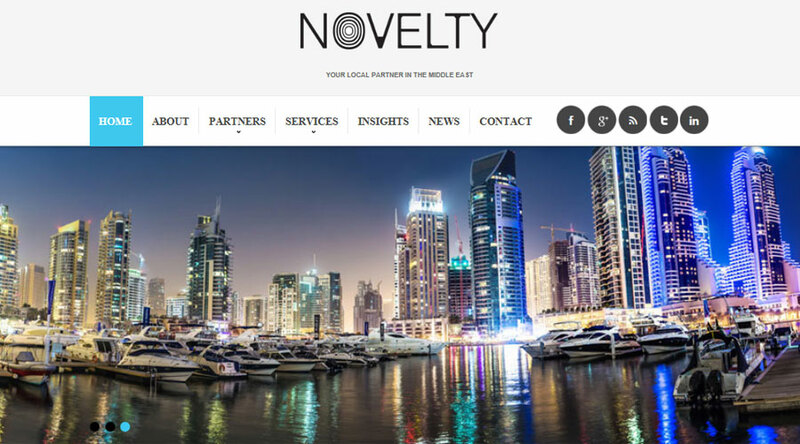 Website Project: Novelty Group provides local sponsorship & representation of foreign companies in the United Arab Emirates (UAE), Gulf Cooperation Council (GCC) & wider Middle East region, together with expert business development services. Focus for this project was to deliver a modern, professional-looking corporate website, that is also fully responsive (i.e. adaptable to mobile phones and tablet devices). At the same time, to incorporate a good amount of content that would offer an orderly overview of the firm. This includes their business services, experiences, partners, news, as well as UAE market insight. In doing so, the website would be both informative, user-friendly, as well as creating a platform to help boost online exposure and corporate credibility; in the UAE, GCC and Middle Eastern markets, as well as internationally. Custom-built content management system (CMS) for creating and managing new content dynamically, namely with regards to the partners and news pages. This came with training and support on using the CMS, plus general best online practices. A certain amount of organic search engine optimisation (SEO) strategies, namely achieved via original content together with the website's structural elements. A fully custom-built Content Management Solution (CMS) has been integrated to the website's frontend infrastructure, allowing Novelty Group's team to maintain the content of their partners and news pages. This then allows the NoveltyGroup.ae website to be both flexible during the firm's growth and development, whilst maintaining strong online presence. These web development services are complimented by an overall digital communication strategy and direction on best practices in using the CMS platform together with various online communications channels. Results: producing an advance, user-friendly, and professional websites for a firm in the UAE, that is both naturally powerful in SEO, reads well, and offers dynamic aspects for ongoing website content maintenance.